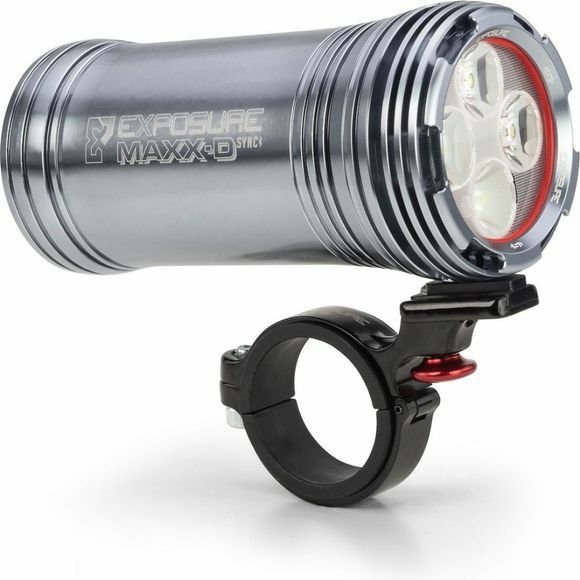 MaXx D SYNC is the front light from Exposure that is powerful with both spot and wide beams to highlight the edge of the trail. This leading model allows for bespoke burn times and on the fly control thanks to a mobile app and Bluetooth connectivity the 4 White XPL2 Cree LEDs have a very high output and a massive battery allows for the light to burn as long as possible. 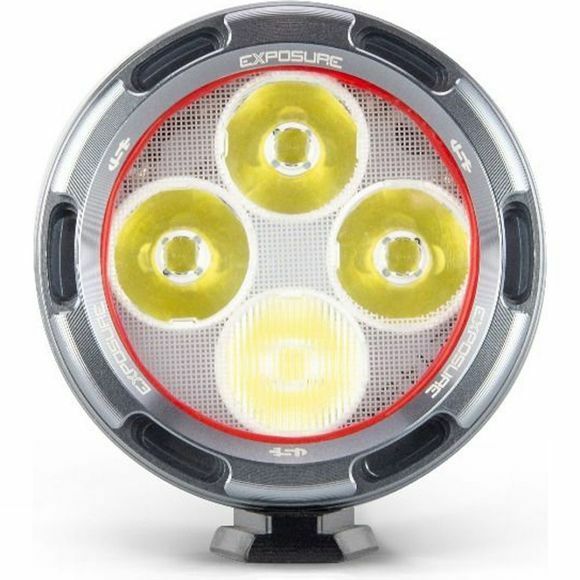 This light is ideal for aggressive riding on single-track and technical terrain thanks to brightness automation using Reflex+ Technology and 24 hour endurance racing using lower outputs to achieve long burn times. Other useful technologies like Intelligent Thermal Management, Optimum Mode Selector and a clever Cable Free Design make this a top of the line Cross Country and All Mountain light. The MaXx D SYNC front light comes with a quick release bracket, a 2.8A fast charger and a USB charge cable.